Welcome to Newton and Conover N.C.
cities are so close together they almost run together on the map, and even share a high school, Newton-Conover High, but they do still maintain their own uniqueness! Newton, NC is the county seat for Catawba County. Incorporated in 1855, it now hosts a population of nearly 14,000 people. The city has a wide array of advantages – challenging places to work, low cost of living, a vast array of recreational opportunities, diverse cultures, arts and culture, and a charming lifestyle many enjoy! 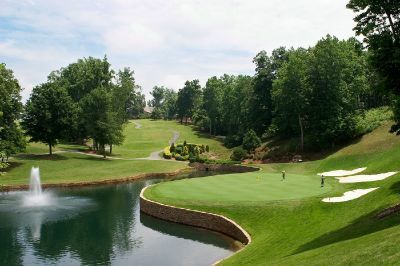 Conover, NC has won recent acclaim as being the site of the Greater Hickory Classic Golf Tournament, held annually at Rock Barn Golf & Spa. This annual event brings thousands of spectators to the area to see the professional golfers compete on one of the most beautiful courses in the state. Conover has encouraged businesses to remain in their downtown district and has a charming downtown area with restaurants, antique stores, and other merchants. With local population topping 8,000 people, Conover holds on to its small-town charm that is very appealing! 331 listings found. Showing 12 per page.